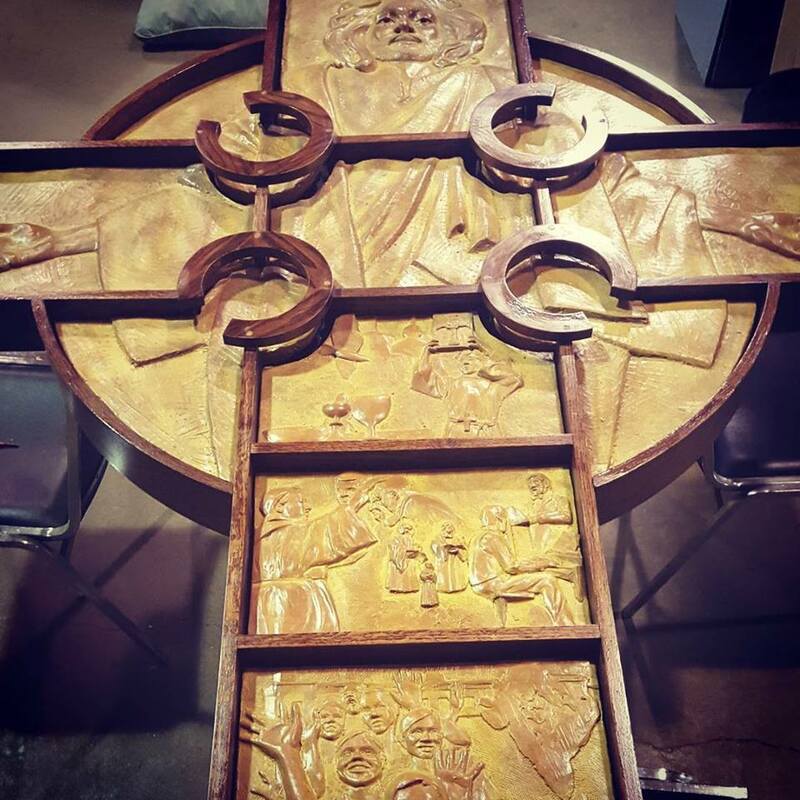 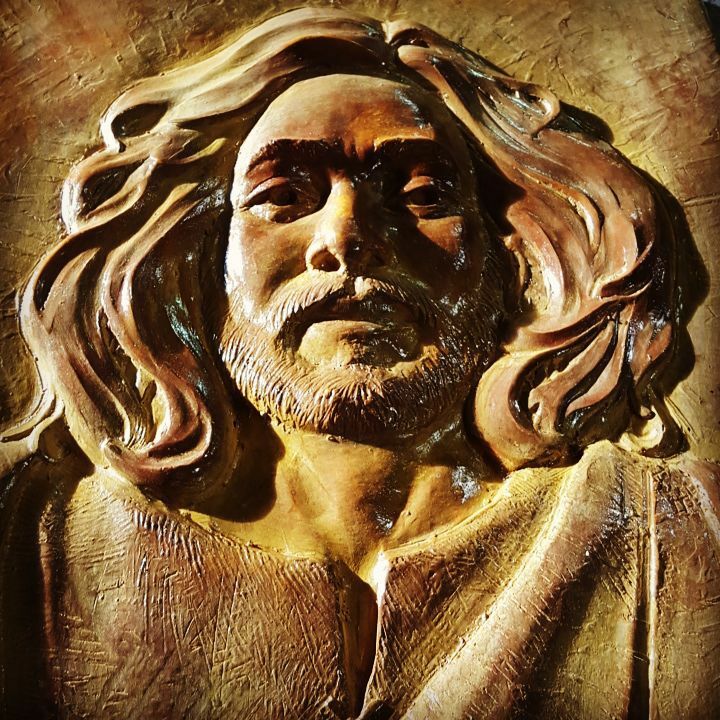 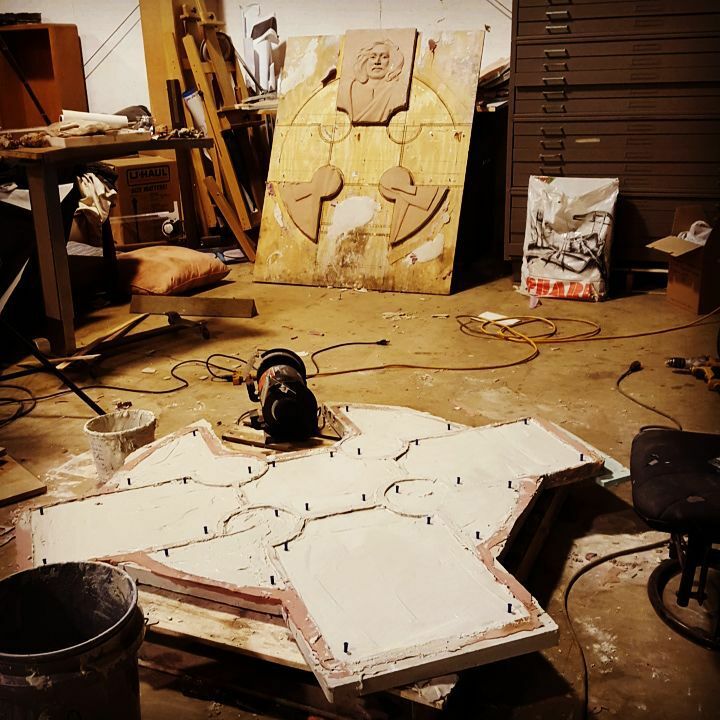 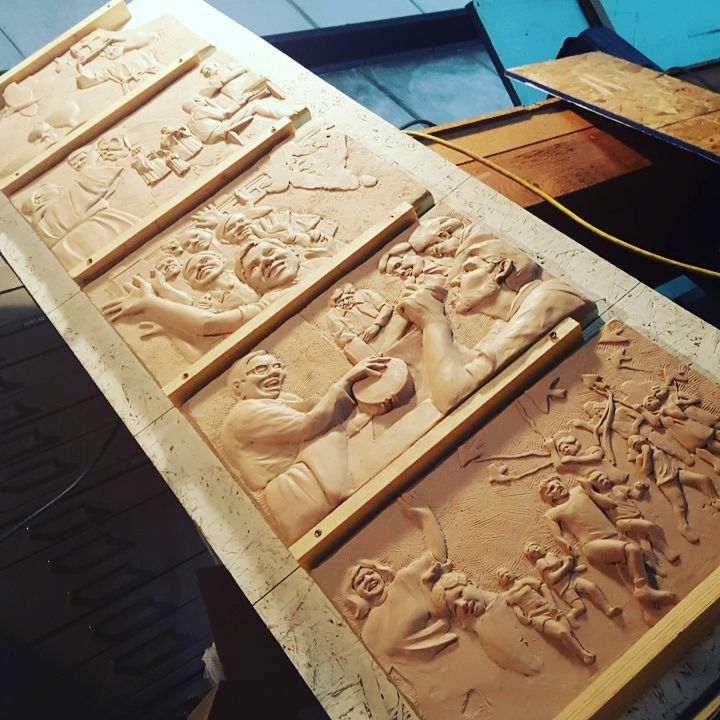 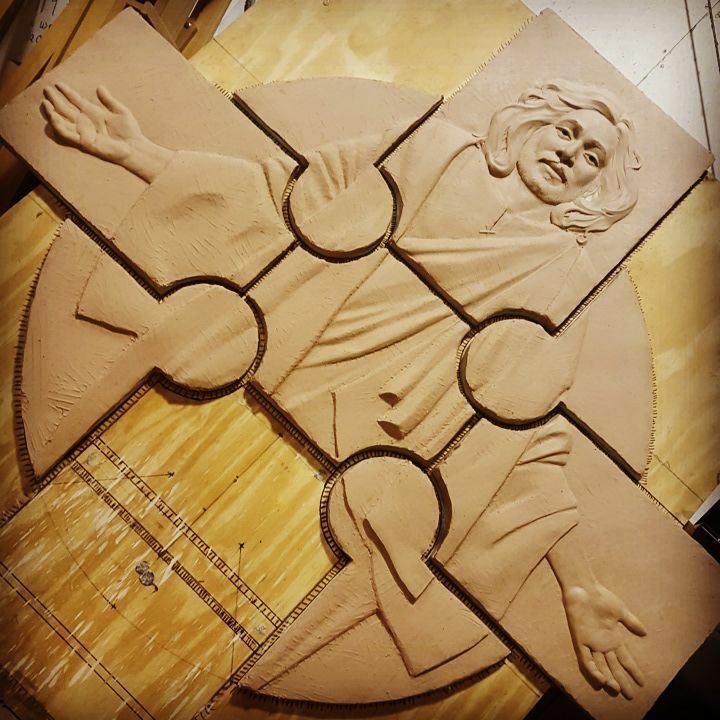 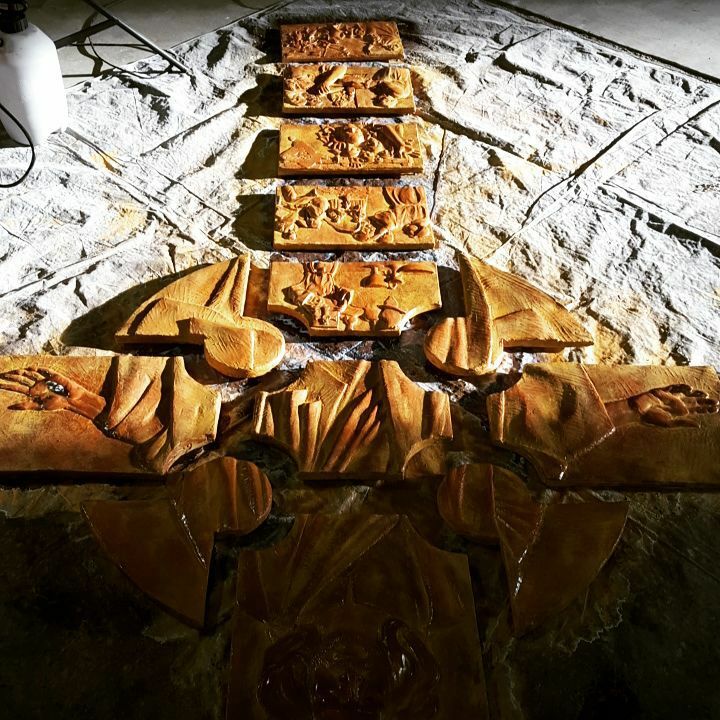 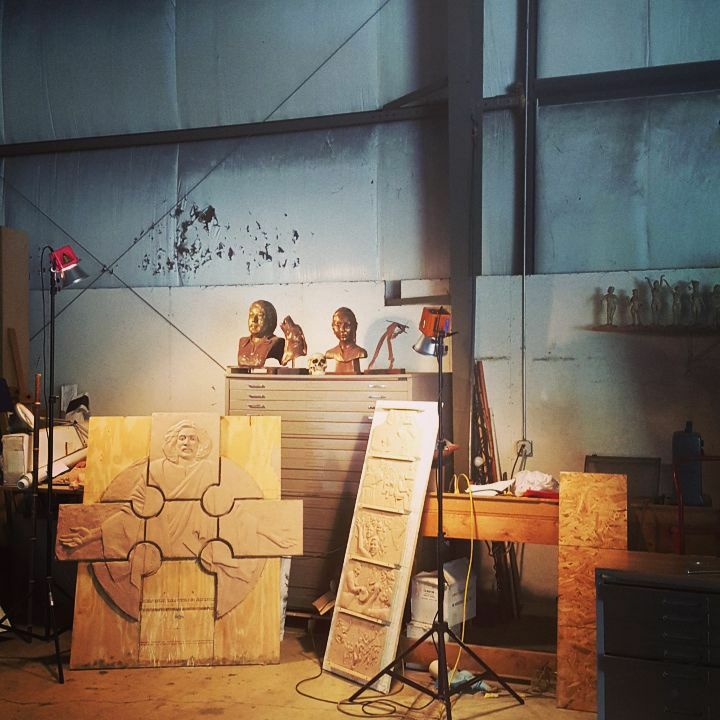 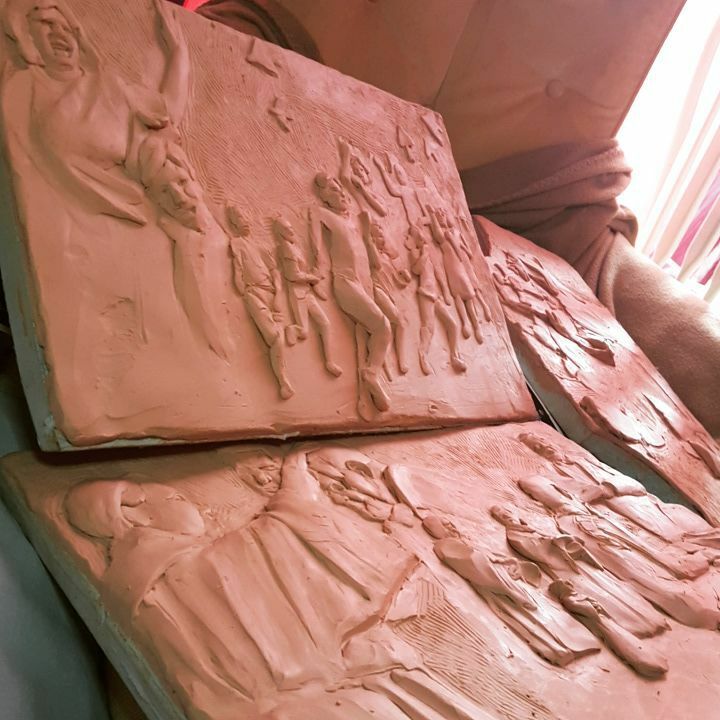 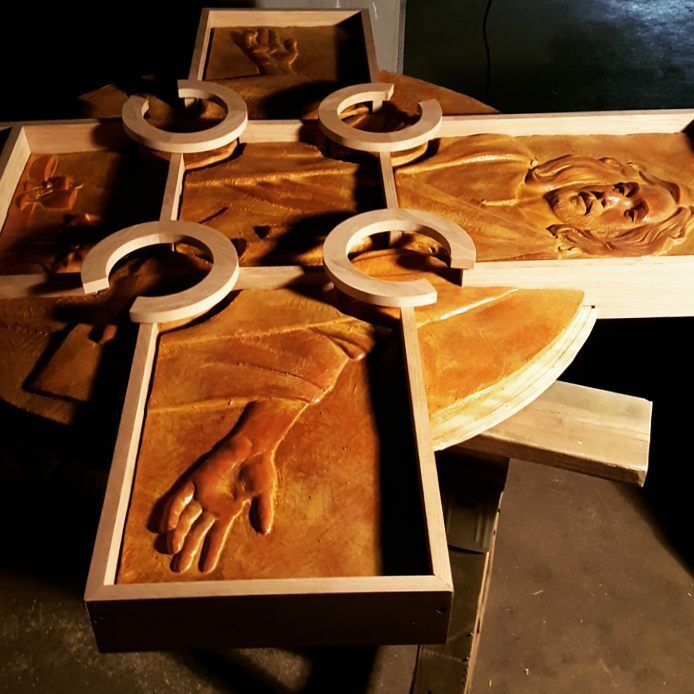 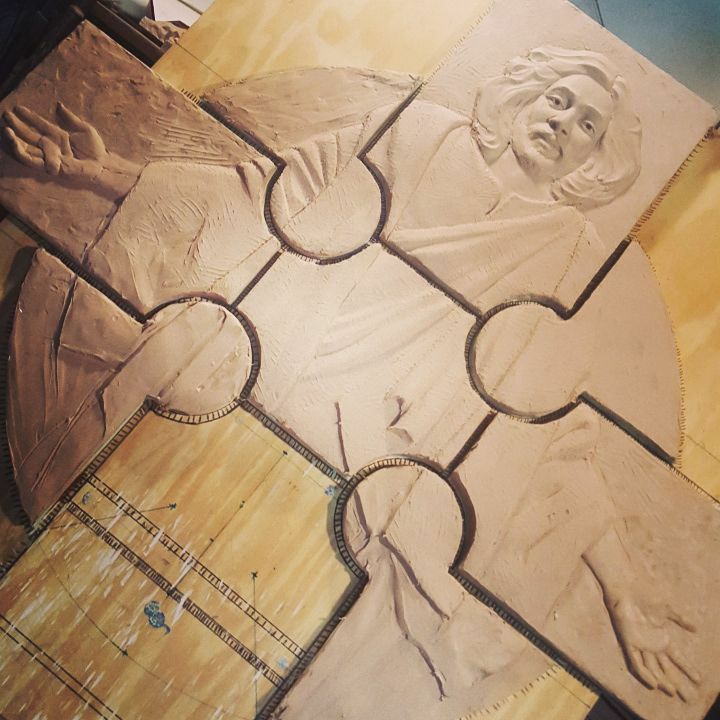 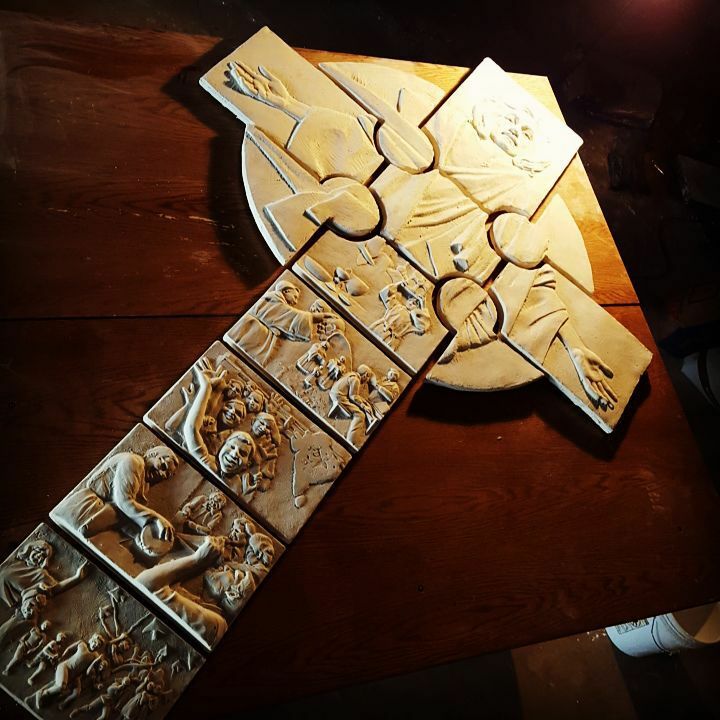 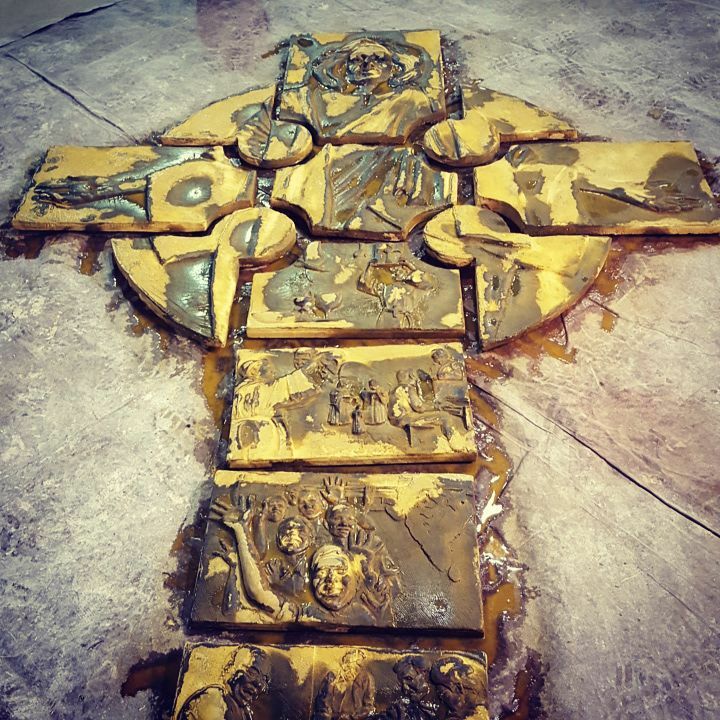 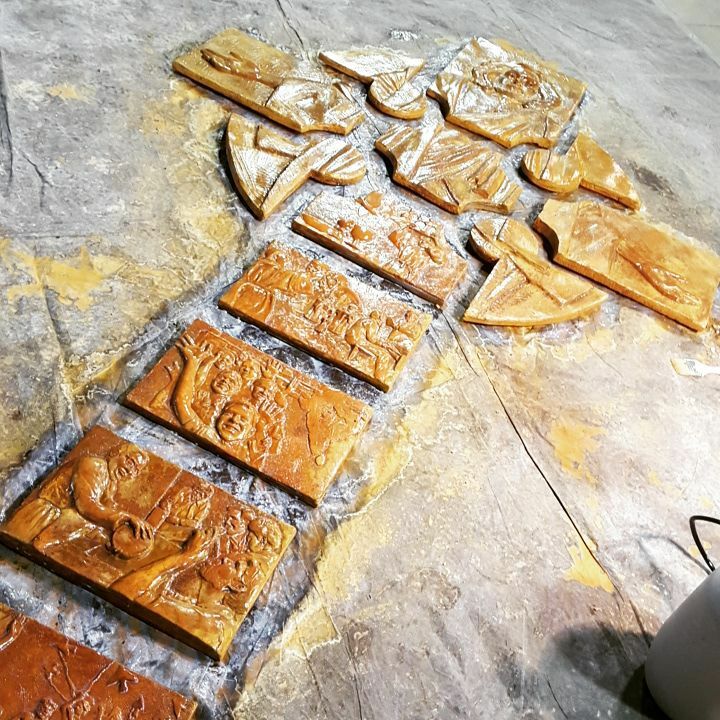 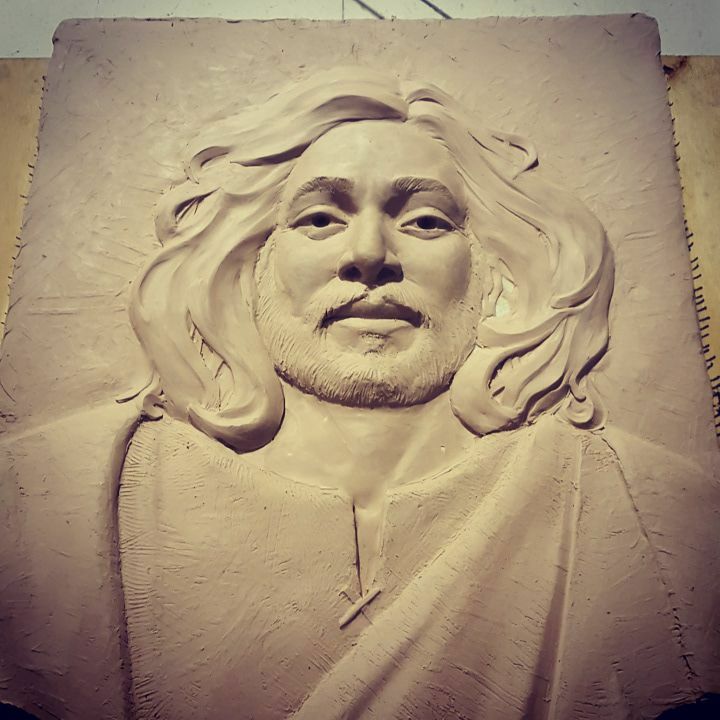 The cross for St Martin of Tours Episcopal church was sculpted in an oil based clay, then cast into “superplasticized” concrete, which flows very smoothly to pick up all the detail required from an art piece, but is still essentially just concrete, the same as any road or building. 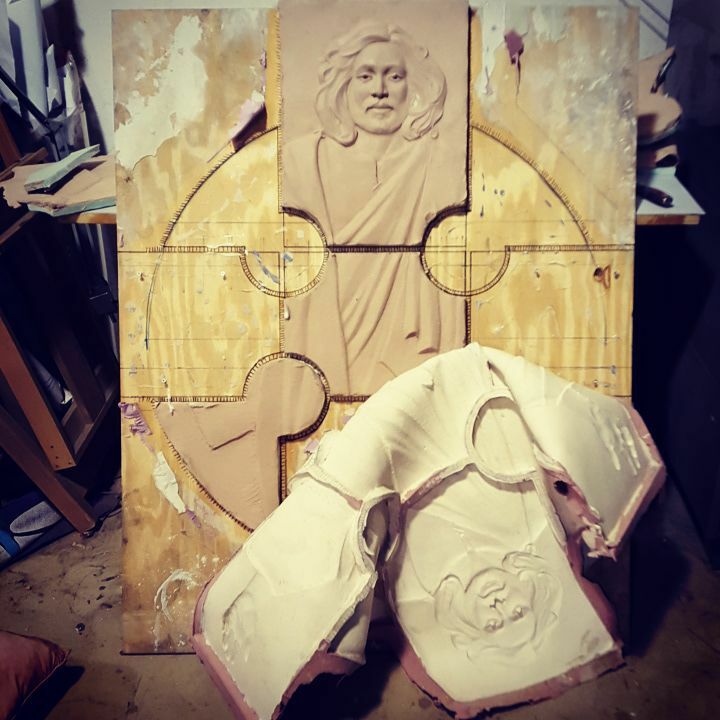 Because of this it works especially well as a material for outdoor work. 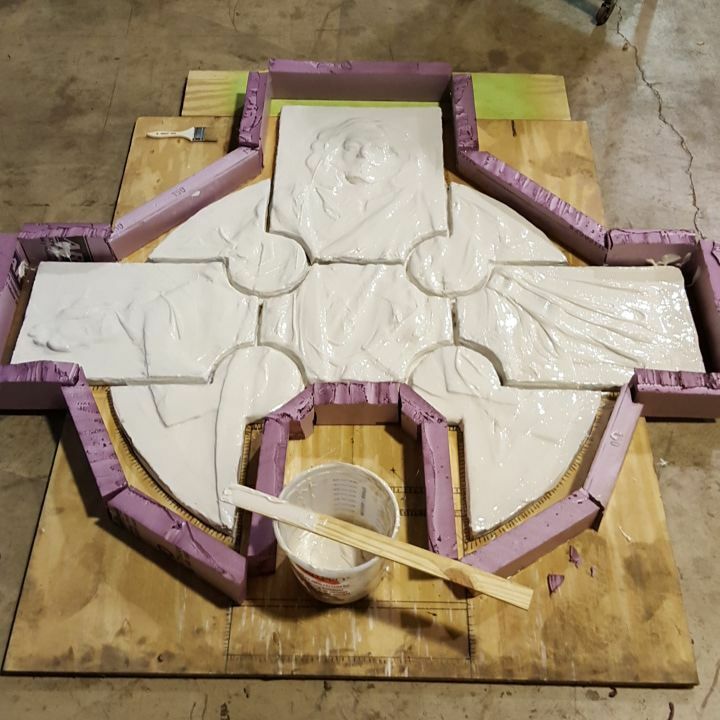 The concrete is acid stained with an iron sulfate mixture, a process that actually penetrates and tints the stone permanently. 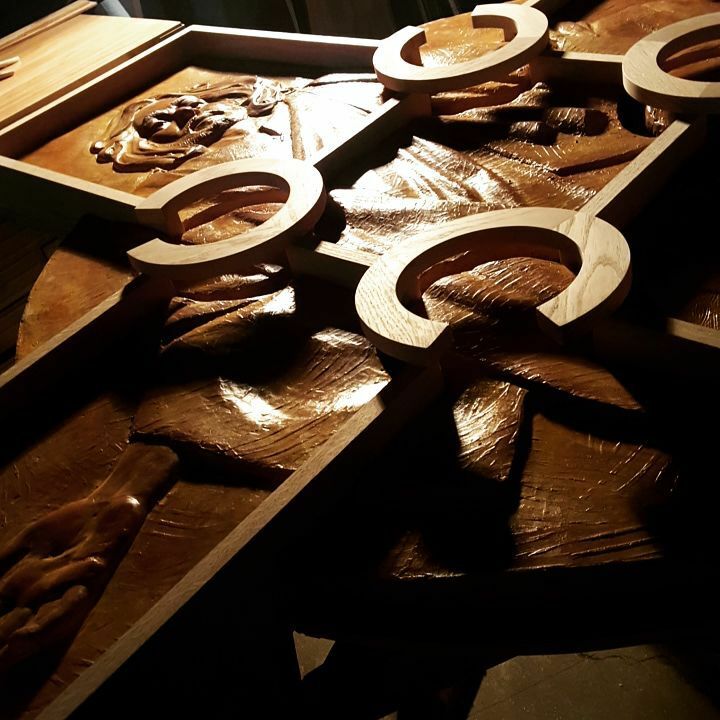 The cabinet containing the relief sculpture is made from white oak.